We have two classes of 3 year old preschool in the mornings from 9:00 to 11:30. A class of 16 students on Monday and Wednesday and a class of 16 on Tuesday and Thursday. Preschool is Monday through Thursday starting September 2nd until May 21st. We provide year round wrap around care as well. We have three classes of 4 year old preschool and they are no cost to parents. A class of 19 in the morning from 8:30 to 11:30 and two classes, one has 19 students and the other has 16, in the afternoon from 12:30 to 3:30. Preschool is Monday through Thursday starting September 2nd and going until May 21st. For working parents, we provide childcare that wraps around preschool. There are 16 spots available right now, but hoping to expand by 2015. 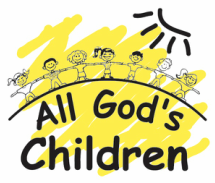 The staff keep the children on a daily schedule that includes, group times, center times, going outdoors or utilizing the church space. They each lunch all together as well as nap in the same room. Even though preschool is September through May, our childcare stays open throughout the summer. To accommodate families with school aged children we provide before and after school care. Morning care begins at 7 and afternoon care ends at 6. We also provide No School Day care, Snow day care and are still open at 7 on late starts and close at 6 on early dismissals (subject to change based on weather). We provide care over the summer for children ages 5 to 10 from the months of June to August. The staff have a plan for every week the children are here to keep it exciting. Field trips are taken once a week with the preschoolers. Water day is a popular day for the children, we made a slipping slide!